E commerce means transactions between buyers and sellers through internet- E commerce is largely used by buyers to buy various products and services like apparel, electronics, flowers and gifts even making railway and air reservations are a sort of e commerce transactions. The growing use of e commerce is mainly because of shortage of time with people and ease of access to internet with highly mobile devices like smartphones, mini-laptops, tablets etc. 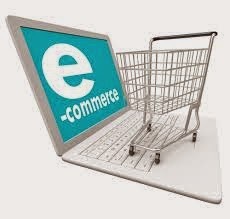 If an organization is operating in the e commerce domain it needs to make sure that the website offers a delightful user navigation experience and hassle free transactions, to make sure that the website is highly user engaging companies can choose from a variety of e commerce solutions that are designed specifically to cater to the needs and requirements of the e commerce segment. ECommerce solutions can be designed keeping in mind specific business objectives of the organizations and then revamp or redesign the e commerce website keeping in mind target user segment to offer enriching user experience. The solutions that are customized can give repeat and valued customer base to the organizations therefore helping them to achieve economies of scale.